As some of you know, my friend and fellow artist, Robin Hotchkiss, died recently even as preparations were being made for a retrospective exhibit of her work. This painting is one of two that we loaned for the exhibition, out of the dozen or so paintings by Robin in our collection. 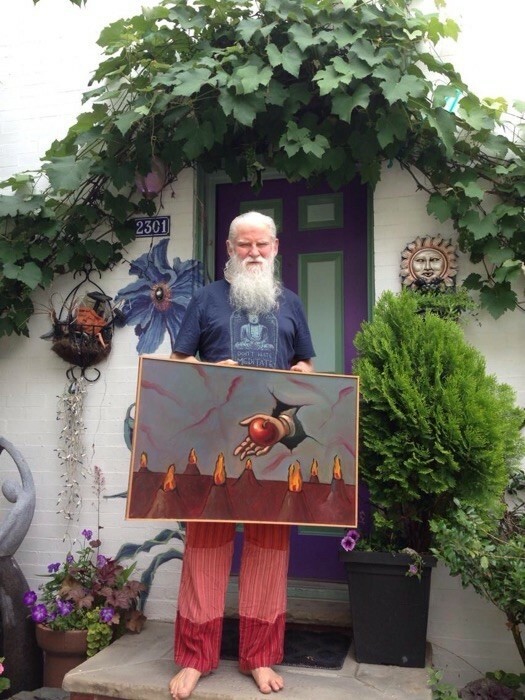 Photo was snapped by Ann Keech, the exhibition’s organizer out front of the home and studio I share with my wife, Betsy Alexander.